YANGON, Myanmar (CNS) — A controversial China-funded dam project in Myanmar must be stopped, said Cardinal Charles Maung Bo of Yangon, noting that the affected river is the country’s most sacred symbol. 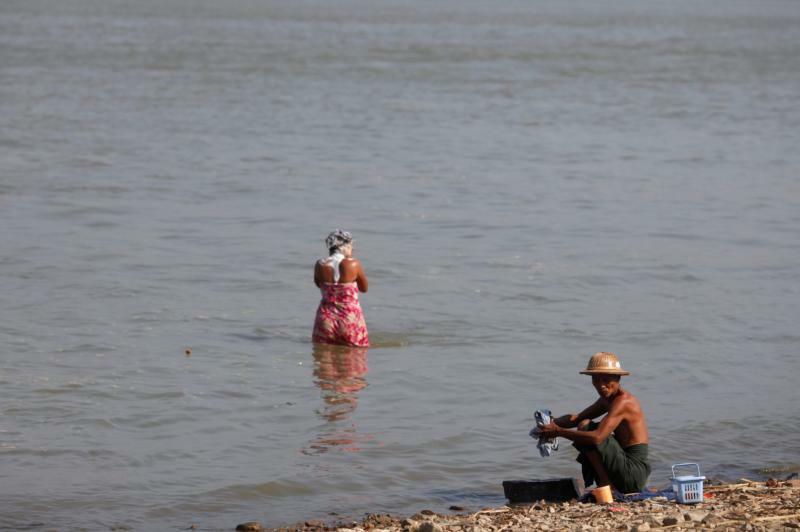 The Irrawaddy River is “our mother” and is at risk of being lost “to the greed of a superpower,” he said. The river, the Southeast Asian nation’s longest, running from north to south, “is an unfailing accompanier” in the livelihoods of the people of Myanmar, which is “a nation of agriculture, where 80 percent of the people live by farming,” Cardinal Bo said in a Jan. 28 statement. The $3.6 billion Myitsone Dam project, which, if built as designed, would flood more than 200 square miles of forestland in Kachin state and export 90 percent of the power produced to China, was suspended by Myanmar’s previous military-dominated government in 2011. Myanmar “pleads with all people of goodwill to come to the support of the poor,” said Cardinal Bo. The river “is witness to our sorrows, joys and wounded history. She is our hope, she is our destiny,” he said. For decades, powerful countries have taken advantage of Myanmar, including commodifying “our girls and women through human trafficking in the northern states of Myanmar,” Cardinal Bo said. “The grim prospect of millions of farmers losing their livelihood, the abuse of sacred sites along the rivers, the death and destruction of the precious flora and fauna of our dear nation is becoming a nightmarish reality,” he said, noting that “a bleak future awaits the people of Myanmar” unless the dam project is stopped. China’s interests in Myanmar are largely strategic, including as an outlet for its landlocked southwestern provinces to the Indian Ocean. Recent events have “unfortunately increased the leverage of certain countries over our nation,” the cardinal said. Civil wars in Myanmar’s peripheries have plagued the nation once known as Burma since it gained independence from Great Britain in 1948. Ethnic-based militias have waged battles with the military, who ruled the country by junta from 1962 to 2011 and then headed its government before the November 2015 election. Myanmar’s leader Aung San Suu Kyi, lauded as a civil rights and pro-democracy icon before she became state counselor in 2016, has since been stripped of several of the accolades she received in the West because of her refusal to condemn the carnage against the Rohingya.